Bosch Rexroth has appointed Volito Automation as a new partner in Sweden. The partnership means that HydSupply, PF Hydraulics and Hydratech significantly strengthens its offerings with both high quality components and a unique know-how from one of the world’s most reputable vendors. – We continuously tie to us the best entrepreneurs, employees and partners, says Thomas Larsson, CEO of Volito Automation. 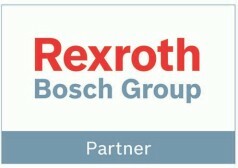 Bosch Rexroth is one of the world’s leading suppliers of industrial automation. I am convinced that cooperation involves the strengthening of our respective positions in the market. Volito Automation has quickly become a respected player in the Nordic market for industrial hydraulics, with increasing market share and high credibility. This past year, the group has strengthened its focus on the further expansion and is looking for new opportunities for acquisitions and start-ups. – The collaboration with Bosch Rexroth is an important part of our expansion plan with MRO industry, says Thomas Larsson. Bosch Rexroth is well established in the industry and moons like Volito Automation for excellence in every detail. – For us, collaboration is an opportunity to significantly broaden and sharpen our products and services, says Thomas Larsson. By Volito Automation, Bosch Rexroth strengthens its presence across the country. They get a strong partner with the corresponding requirements for competence and quality. That cooperation has become possible, we see as a high rating for the operations of our subsidiaries. Volito Automation acquires and start companies in industrial, mobile and marine hydraulics with the ambition to become the market leader in the Nordic region. The companies in the group rests on a set of values of foresight, long-term organic growth and strong relationships with both customers and suppliers. Behind investments are the Volito AB.